Z claims that only the mujahids have thrawted the plans of the U.S. That’s like Gamal Abdel Nasser’s slogan after the ’67 defeat that “no voice rises above the voice of battle” in order to silence his critics. AQ brought the U.S. into the region and caused it to occupy Iraq and Afghanistan. It gave the U.S. false information about WMD in Iraq and tying Iraq to al-Qaeda to give the U.S. the excuse to invade Iraq. They did this to lure the U.S. into a battlefield where it could be destroyed. But AQ killed far more Iraqis than it killed Americans. It brought the U.S. in and excommunicated the people of Iraq solely to fulfill its desire to fight America. Z claims that AQ thwarted the plans of the U.S. but the truth is the opposite. Wherever AQ goes, it brings destruction to Muslims. Those who have benefitted from the killing in Iraq are first Iran, then Syria. Is Syria facilitating those who seek to fight in Iraq out its love for jihad, for the Iraqis, or for its own self interest? Aren’t some of the leaders of AQ who are encouraging others to fight in Iraq located in Iran, particularly the son of UBL? Is fighting for the interests of Syria and Iran a jihad? Hasn’t Z previously paid his brothers to fight in Egypt in service of Sudanese intel? Isn’t killing the Iraqis and demolishing their homes exactly what Jews are doing to Palestinians? Is this jihad or even thwarting the plans of America? Wasn’t Iraq part of the Abode of Islam under Saddam before the American occupation? Didn’t al-Qaeda, at the hands of Zarqawi, trigger a sectarian civil war in Iraq by killing the Shia en masse? Haven’t the Sunnis paid the ultimate price for this? Killing the Iraqi Shia only strengthened their ties to Iran and facilitated Iranian involvement in Iraq, whereas it did nothing but weaken the Sunni position in Iraq. Does the mentality that lost an actual Islamic state in Afghanistan really believe that an Islamic state will be established in Iraq and not just on the Internet? Are the Islamic peoples to be test animals for Bin Laden’s and Zawahiri’s experiment? No one is more pleased with al-Qaeda today than Iran and Syria. All they have to do is turn a blind eye to the fighters who travel through their countries to blow themselves up, which serves Iranian and Syrian interests. 8) One of Z’s ignorant beliefs is that he proves the truth of what he says by pointing to the number of his followers. The truth is known by its agreement with the Sharia, not by the number of its followers. I have not called on anyone to follow me. I am only relaying what I think is right according to the Sharia. 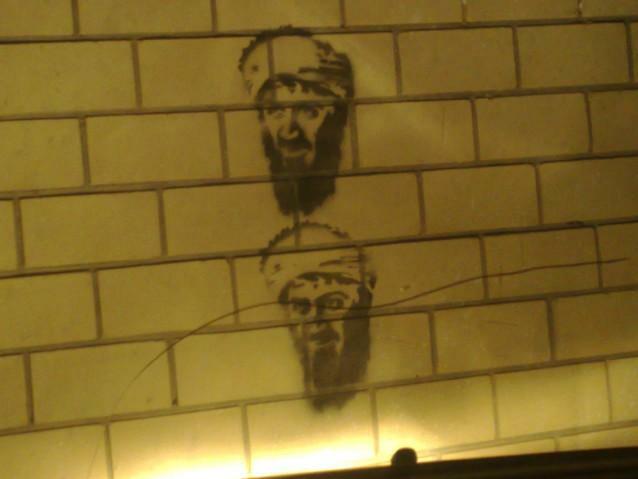 Aren’t those who extol Bin Laden the same people that previously extolled Saddam Hussein? Z’s words [ie the truth of what you say is proven by the number of your followers] indicate a fundamental aspect of his character: he has always been looking for fame and he is willing to get it by killing the innocent. Z and Bin Laden talk about Palestinian children being hurt but not about the death they bring to the children of Afghanistan. * Why doesn’t al-Qaeda undertake operations in Palestine? If Al-Qaeda is so interested in the Palestinian question, why hasn’t it undertaken operations against the Jews there? There are two reasons. First, killing Jews is not one of Bin Laden’s priorities. Second, al-Qaeda is an organization without a state; wherever it is, it is a stranger. One can’t carry out operations in a country without the help of some of the people in that country. 1) Palestinian organizations don’t trust Bin Laden. There’s no room to explain here, but it is an old matter from the days of the Afghan jihad. 2) Al-Qaeda has nothing to offer Palestinian groups militarily since the latter are far more advanced. Indeed, Al-Qaeda relied on the cadres of the Egyptian Islamic Jihad trained by the Palestinian groups in Lebanon from 1990 to 1992. 3) Different tactics with respect to the use of force. Bin Laden uses blind force to kill as many people as possible, even if it leads to the destruction of his organization–“organizational suicide.” Palestinian organizations, on the other hand, use limited force to make gains against the enemy while ensuring the survival of their organization. They follow the traditional principles of guerrilla war, the “war of the flea and the dog.” Bin Laden’s new way is the war of the elephant, which makes mass killing the goal. 4) Palestinian organizations don’t need Bin Laden’s money since they have their own resources, just as they are more politically sophisticated than Bin Laden. This is why Al-Qaeda has failed to ally with Palestinian groups and failed to gain a foothold in Palestine. That’s why Z in his recent statement called for the Bedouin of Sinai to engage in jihad in Palestine. It’s just propaganda. When the Palestinian organizations rebuffed al-Qaeda, Z started criticizing them. Z accused Hamas of killing Jewish children with their missiles. Is this a rational person? What about the innocents al-Qaeda has killed in Afghanistan, Iraq, Algeria, and elsewhere? Is what is permitted for Al-Qaeda forbidden for Hamas? Z is sad for Jewish children but kills Muslim children. As with Wednesday’s installment, Sayyid Imam saves the good stuff for last. He obliquely chides Mullah Omar for not turning over Bin Laden to the U.S. Imam also discloses that Bin Laden was plotting with Pakistani intelligence before 9/11 without the permission of Mullah Omar and alleges that he worked with ISI head Gen. Mahmud Ahmed. Finally, Imam reveals that Zawahiri did not know of the 9/11 attacks until after they happened. 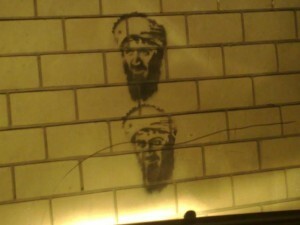 In all, the picture he paints of Zawahiri is of a man very peripheral to al-Qaeda operations until after 9/11. Muslims are the cause of their own problems, not Americans as Zawahiri and Bin Laden say. The reform of Muslims has to begin with themselves. UBL and Z. abandoned the umma, leaving it to pay the price by losing two nations, Afghanistan and Iraq, and by coping with the death of hundreds of thousands of people and widespread destruction. * Zawahiri rejects my argument that jihad is not the only option Muslims can use to confront their enemies. He also rejects the idea that there are conditions and barriers to jihad. But there is a difference between the necessity of an Islamic duty and the ability of a Muslim to carry it out [eg you don’t have to pray if you are unable to]. Z. says, “This corrupt reality…will only change through force” (Exoneration, p. 193). Any other option, he says, is “the poisons of weakness and paralysis” (p. 74). These words are kufr [unbelief] because God clearly mentioned other options in the Qur’an, and the Prophet and his Companions did not always use violence. Z. is like an ignorant doctor who only knows how to treat a patient one way and believes every other way is wrong. UBL and Z. exploit the Islamic sentiments of the youth along with their ignorance of the Sharia sciences. Z. hates to speak about conditions and barriers for Islamic duties, even though they are the pillars of Sharia wisdom. He doesn’t want the youth to know this way of reasoning so they will be more receptive to fiery rhetoric. Weighing conditions and barriers is the difference between a scholar and an ignorant person, a jurist and a reckless person. My experience with Z. is that he is the most reckless of those who don’t think about consequences. But he is an unusual reckless person. A normal reckless person risks something he owns. But Z. risks what he doesn’t own. In Egypt, he risked the lives of hundreds of his brethren and then he fled and did not die with them in Egypt as he had promised. He then risked the Taliban state, the Afghan people, and then the Iraqi people. He always risks what he doesn’t own, flees, and then leaves others to pay the price. All of this has led to no real achievement on the ground but rather wholesale losses. Thus, he doesn’t want Muslim youth to know there are conditions and barriers for jihad that lead to minimal loses, in contrast to the outcome of recklessness–heavy losses without benefit. Think about why the Islamic movements have failed to establish Islamic states or suffered severe losses; it is because these conditions have been ignored. UBL violated the command of his amir, Mullah Omar, to not attack the U.S. He developed the heretical notion that he only had to obey him in matters internal to Afghanistan. Islamic scripture does not limit obedience to one’s amir to a location. You have to obey your amir no matter where you are. Moreover, medieval scholars say there can be no raid beyond the borders your amir controls without his permission. UBL betrayed Mullah Omar but this doesn’t excuse Omar’s responsibility for the loss of Afghanistan. He could have prevented it if he had acted wisely at the first sign of trouble without violating Islamic law. But he failed to act. During its reign, the Taliban punished women for leaving their homes without covering their faces. Today they kill Afghan soldiers who collaborate with the American occupation. But the Taliban still will not bring UBL and Z. to an accounting, even though they were directly responsible for the loss of the Taliban state. UBL never respected the Taliban government. He wanted to use it as a means to attack the U.S. He also cut deals with outsiders as if he were a state within a state. For example, he struck agreements with his old ally, Pakistani intelligence, in particular with Gen. Mahmud Ahmed. UBL also did interviews with the foreign press even though Mullah Omar forbade it. Z. also had contempt for the Taliban state, even though he said in his book Knights that the mujahid states of Afghanistan and Chechnya had to have Jihadis’ total support and that the battle had to be transferred to the heart of the Islamic world. He further said that because these states are weak, the Jihadis had to solve the problem [overthrowing Islamic regimes elsewhere] themselves without exposing these states to retaliation. But his subsequent actions contradicted his earlier words. Z. invented this principle to support UBL’s plan to attack the U.S. By this, they wanted to focus the disparate actions of the Islamic groups on a single far enemy. This is completely contrary to Islamic scripture and to the classical understanding of scholars [gives quotes]. For 30 years, Z. preached fighting against the near enemy, the Egyptian government, until he decided in 1998 that it was more important to fight the far enemy. That was after the failure of Egyptian Islamic Jihad in Egypt and its financial bankruptcy. So he joined UBL’s Global Islamic Front for Jihad in 1998, even though the U.S. had done nothing to EIJ before that. That’s when he concocted this principle and put it in UBL’s mind. Z.’s agent in Europe, Hani Siba`i, said in a book that Z.’s decision brought great harm to EIJ, even though the change in strategy was not the collective decision of the group. Even though Z.’s group incurred heavy losses for the sake of UBL, UBL did not used to trust Z. for reasons I won’t go into here. Thus, he did not inform him of the 9/11 plot before it happened, even though Z. had joined AQ and given allegiance to UBL in June of 2001. UBL then had him justify the attack after the fact. Zawahiri letter to al-Qaeda in Iraq leader Abu Ayyub al-Masri, March 2008. Letter was captured in April during U.S. op that killed AQI Information Minister Abu Nizar. Abu Nizar was an intermediary between Masri and AQ Central. The letter was found on Abu Nizar’s person. Leadership: Masri too isolated to keep watch of his operatives. Zawahiri questions Masri’s ability to lead AQI. Poor Communication with AQ Central: Zawahiri concerned that he is not getting regular updates on Iraq. He is also not receiving regular communication from Masri. Relations b/n Zawahiri & Bin Laden: Zawahiri passing along advice from Bin Laden. Offer of Assistance: Zawahiri asks what ISI needs to be victorious. We know from an earlier set of captured documents reviewed by a Washington Post reporter that Masri went to Afghanistan this summer to speak with AQ leadership. From the tone of Zawahiri’s letter, it might have been a trip to the woodshed. This is at least the second time that captured AQI documents have been given to CNN. But in both cases, the original documents have not been released for general scrutiny. If the people releasing them hope their contents will demoralize al-Qaeda supporters around the world, it would help to release the documents to the general public soon after the news stories based on them are published. Despite all the attention paid to Jihadi visual media, Jihadis themselves love texts. Update: Bill Roggio at Long Wars Journal was given the documents by MNFI and has a more extensive summary of their content. He also says that the documents will be made available shortly on the Foundation for the Defense of Democracy’s website. The documents are now up and I’ll post a more detailed summary once I’ve read them. First is a July 31st announcement on the Firdaws forum that one of its members, Khattab al-Thaqafi, traveled to fight in Afghanistan. Thaqafi, we are told, contributed a great deal on the Internet and to Jihadi media. Pictures, as you know, are forbidden, but we should keep in mind that the person was expressing his feelings and was not being mindful of pedestrians. Perhaps he was ignorant of the rule. The only thing this demonstrates is the love of all sorts of people for Shaykh Usama.